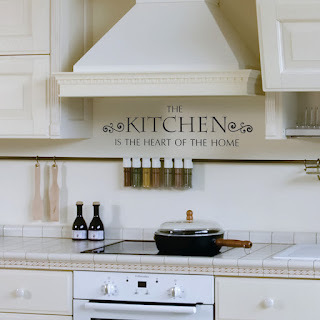 The kitchen, by definition, is a room or area where food is prepared and cooked. We know the kitchen is truly so much more than that! 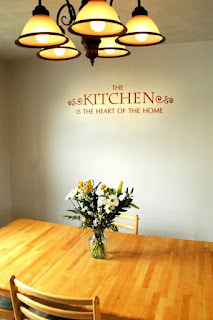 The kitchen can be some peoples sanctuary, the place where they create delicious meals and try new recipes. 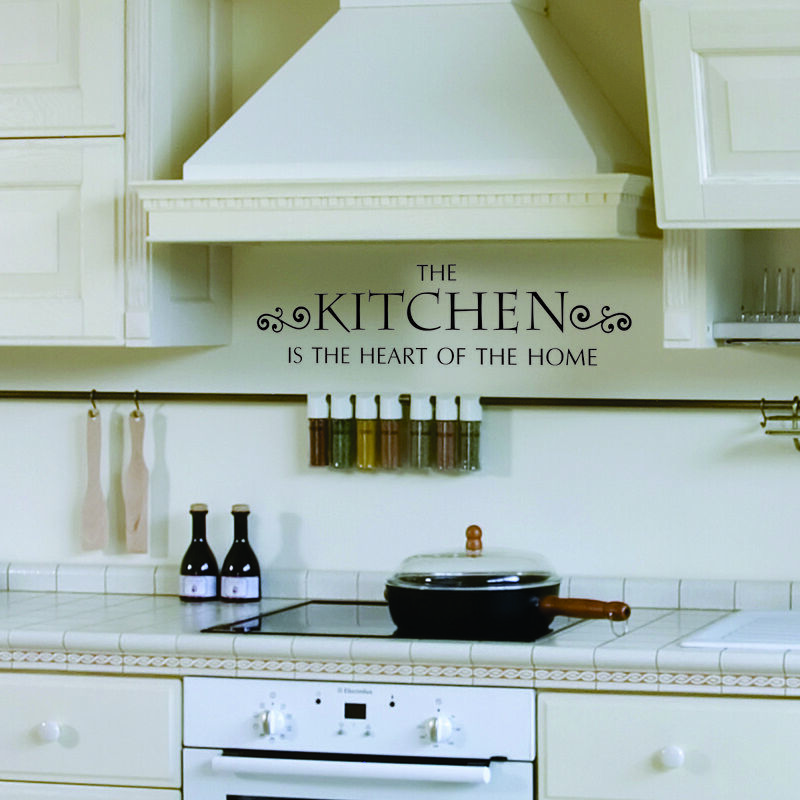 The kitchen also may have been the start to many peoples careers, young chefs and bakers found their calling in the kitchen. 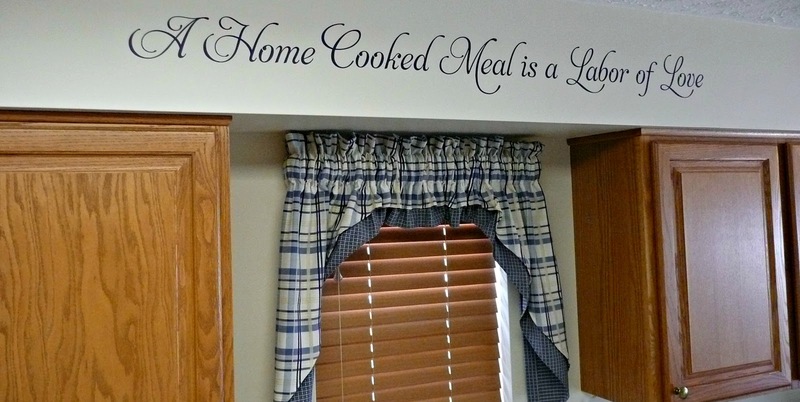 The kitchen may be your hobby so to speak. 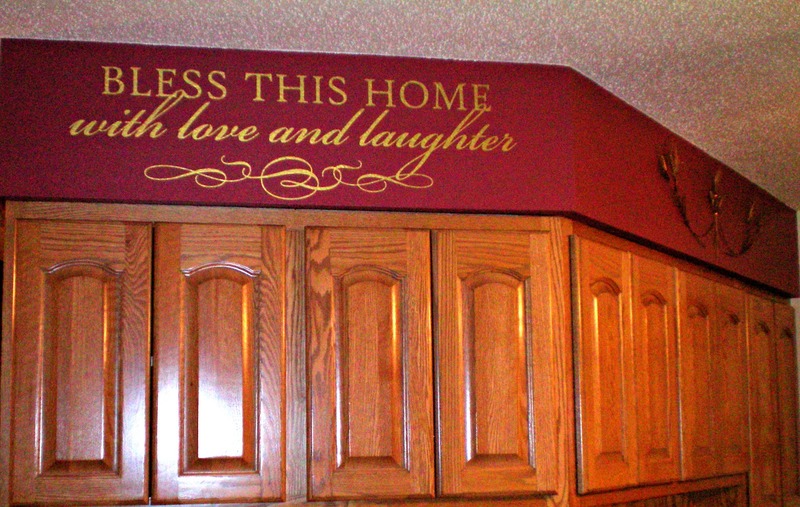 Whatever the kitchen means to you, Belvedere Designs is here to help you express yourself, keep you motivated, and make you smile when you walk into the room. 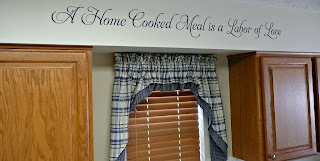 Below we have several examples of what our amazing customers have created within their own kitchens! 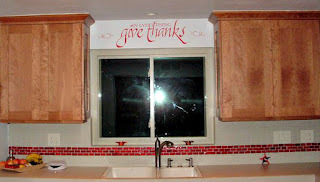 Please use this as your inspiration and remember we can always make any custom quote or old saying that you like! 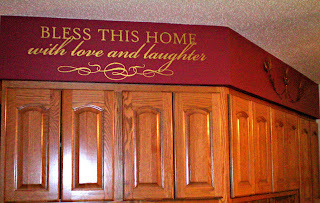 Here is a custom quote that reads, "Good moms have sticky floors messy kitchens laundry piles dirty ovens and happy kids." 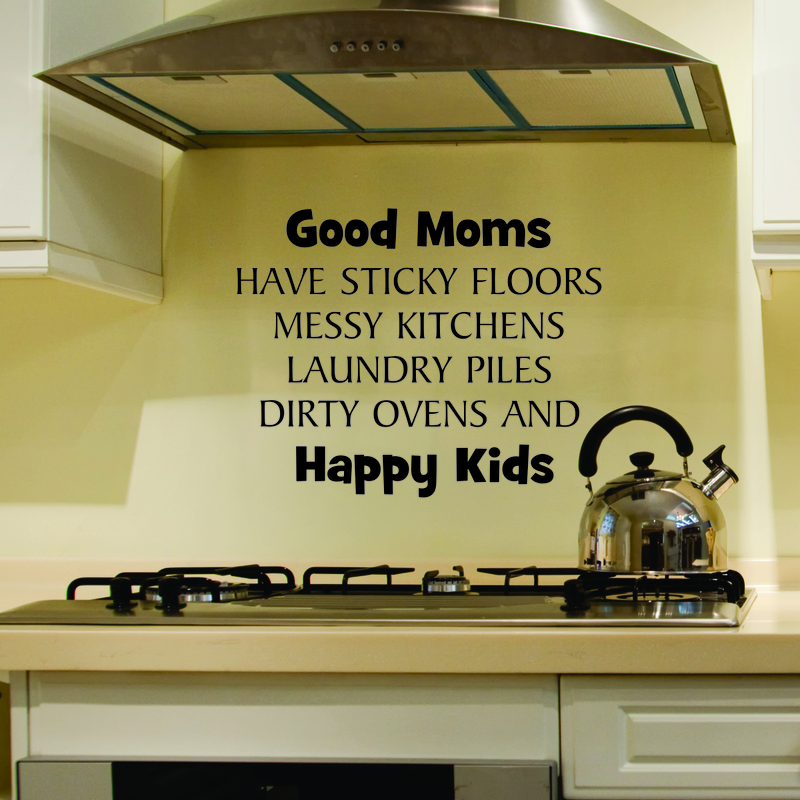 This is one of my absolute favorites because too often do moms stress out about cleaning up and this makes for a perfect reminder that it's ok to let a couple things go so you can play and teach your kids! 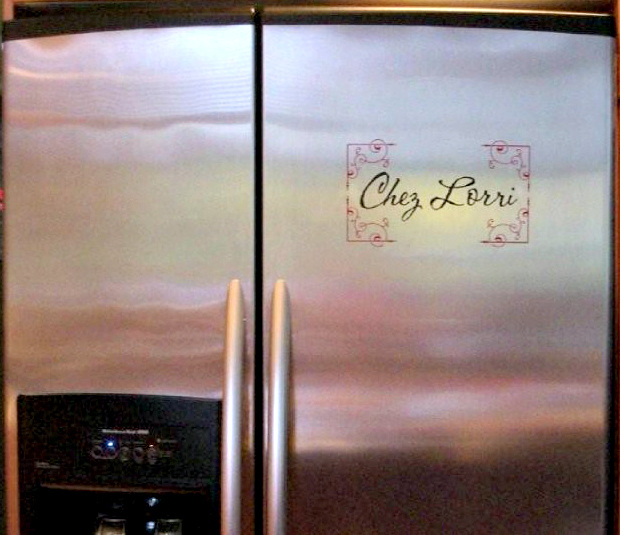 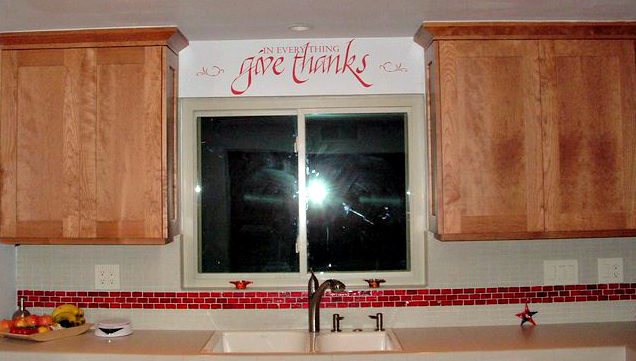 This custom vinyl lettering reads "Chef Lorri." 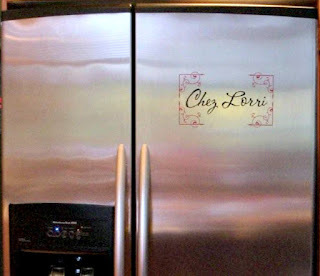 It gives a plain stainless steel refrigerator some real spice and lets company know that Chef Lorri is passionate about her cooking! 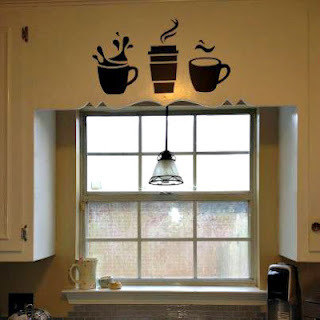 For the coffee and tea lovers we have these fun wall art stickers! 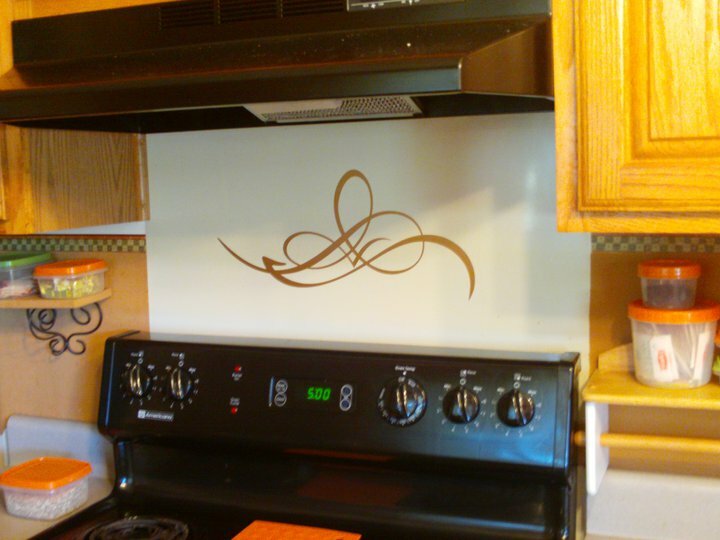 Here is a simple vinyl embellishment that fits in wonderfully with the cabinet colors and also gives this space a classy and sophisticated feel.